Many committed musicians will often speak of a defining moment early on in their career; one that affirmed their calling to the music business and sparked a fire fueled by drive and creativity. In many cases, this moment comes with the understanding that if you want to head full force into the music business, you need to start immediately and use all available resources to your full advantage. 19 year old Dutch artist Tim Schoen’s defining moment came in the form of US-based artist Snail Mail who released her first full-length album earlier this year also aged 19. This gave Schoen the motivation to plunge head first into a serious musical endeavor after spending his adolescence dabbling in songwriting with guitars and synths. The result was a psychedelic indie rock project entitled Cosmic Lovers; a one-man songwriting and production project that also performs live with the aid of session musicians. 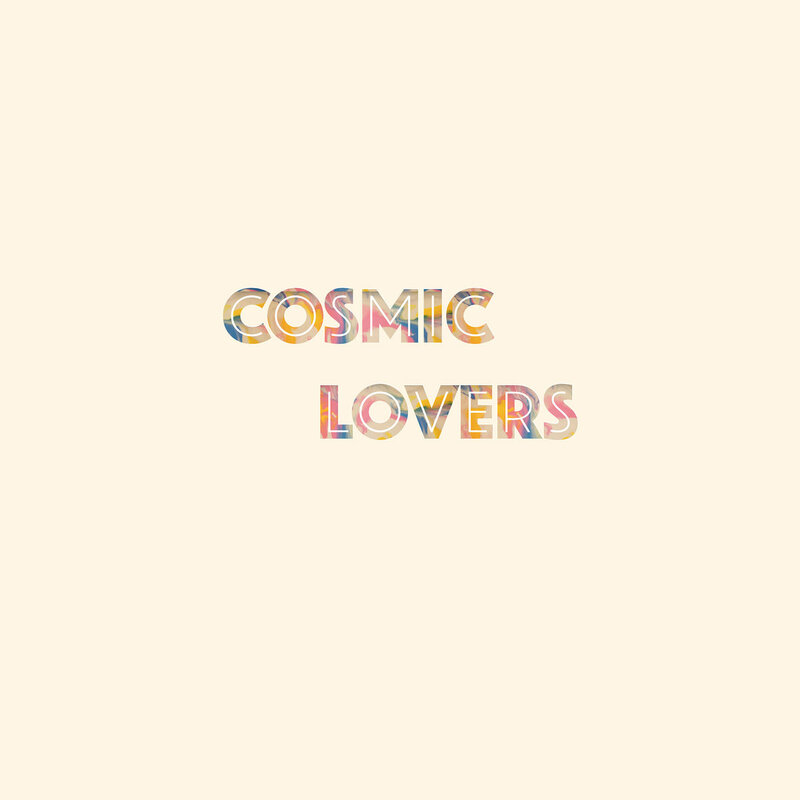 Armed with two synths, a guitar and an amplifier in a small bedroom studio, the debut effort from Cosmic Lovers demonstrates that the determination sparked from a defining moment results in the creation of a high-quality product by any means necessary. ‘She’ opens with sampled conversation and warbly synth runs underpinned by funk bass, acoustic guitar and drums. The drums, bass and acoustic guitar establish a strong pop rock groove whilst the synth lines showcase Schoen’s psychedelic influences. The vocal production is very polished, complete with delay and wide reverb which contrasts really well with the dry, more compressed backing track. This shows Schoen has a good understanding of balance and space in his production as the tightness of the backing track forms a solid foundation for the sweeping, polished vocal sound without allowing things to become wishy-washy. ‘Shiver’ has a much more progressive rock feel with a strong Pink Floyd influence. The first thing that strikes me is just different his voice sounds; whilst the opening track was sang in a lively tenor range, this track features a much more mellow vocal delivery in the baritone range. The ambient and ambiguous verse launches into an absolutely brilliant chorus which introduces stacked falsetto vocal tracks and panning synth lines. Particular praise goes to Schoen’s impressive display of harmonic understanding, pleasantly defying all expectations by starting the chorus on chord VI and making use of inversions in the stacked backing vocals. This gives the chorus a wonderful lift and shows an understanding of songwriting and arranging far beyond his years. The final chorus is preceded by a creamy guitar solo, which is both creative and well-explored without being overbearing. ‘Can’t You See’ has a classic pop feel and features guest vocalist Hilde van Dijk. At this point my attention turns to the EP’s production; whilst each track has a different feel and genre, Schoen manages to retain a consistent theme to the overall production allowing the EP to feel like a single body of work whilst still being varied and interesting. The overall production is high-quality and the mastering is excellent, with a nice flow between each track and no sudden changes in volume. I think it’s worth re-enforcing that this was recorded with four instruments in a small bedroom studio, which just goes to show that you don’t need expensive gear to get good results. The track takes an interesting turn just past the midway point, breaking into a funk rhythm and being led by a pair of solo guitar ideas. This is underpinned by a great walking bass melody, which is much busier than the bass on the previous two tracks. This shows that Schoen is willing to use the instrumentation to cater to the needs of each individual track rather than relying on the convenience of a set-in-stone arranging style. There appears to be a conscious effort to make the instrumental track on ‘Isolation’ tie in with the themes of the lyrics. As Schoen sings how ‘I find it hard to find some consolation/Things that try to hold me down for good’, frequency shifting synths and a repeating bass riff form a sonic representation of watching life happen before your eyes and attempting to slowly make sense of it all. The chorus sees the stacked backing vocals return, this time accompanied by crashing drums. By this point it becomes apparent that Schoen has a good awareness of the songwriting and production tricks that suit him; whilst each track dabbles in a slightly different genre, certain key elements such as panning synths, strong bass riffs and stacked backing vocals remain. At this point I also begin to wonder what his tracks would sound like in a live setting. I’m unsure of the lineup he’s currently using, but the intimate and laid-back nature of the music suggests it would work well in a small ensemble of around three people. The best option for a lineup that I can think of would feature himself on vocals and various synths backed by a live drummer and guitar player. Overall, the debut effort from Cosmic Lovers showcases a talented and driven young musician with an understanding of songwriting and production far beyond his years. Whilst Schoen hops from genre to genre across each track, it’s clear he has the formation of a distinct style which I’m excited to see him develop and grow into over his next few releases whilst he finds his feet genre-wise. Highly recommended for any fans of progressive rock, psychedelia or electronica.